Quartz Countertops are getting popular and popular in America,Europe and China,David Stone is specialized in supplying quartz slabs and quartz countertops,and other natural stone products,When you happen to visit our webpage, you will find stunning quartz types for your lovely home,villa or hotel. 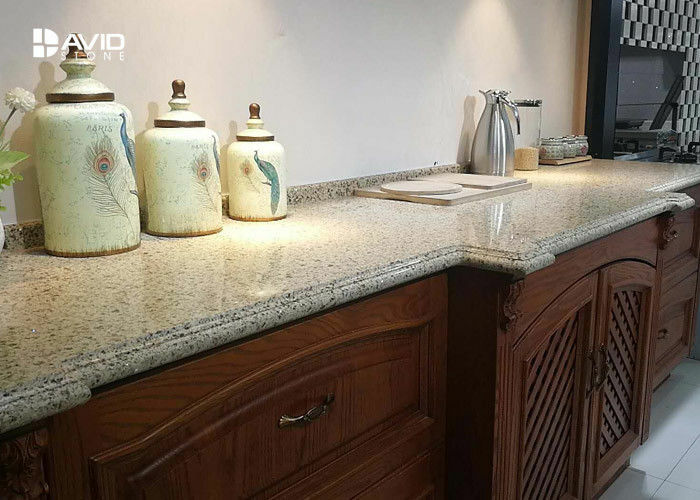 Quartz Countertops bring nature to your door,quartz is not only a natural mineral,but with great hardness Mohs 7.0,which makes strong scratch resistance on the work surface. 1. Quartz melting points are as high as 1400 degrees Celsius. 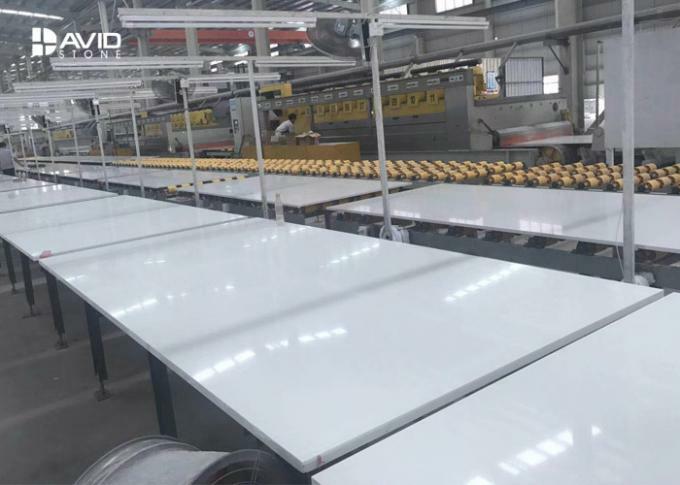 However, due to the synthesis of resin and other excipients from quartz board, it is necessary to avoid direct exposure to high temperature or local heating on the table for a long time. Do not put hot household utensils on the table directly. It is recommended to use good heat insulation pans to protect your table. 2. Do not use heavy impact or sharp sharp tools to knock on the table, especially in the weak parts such as hearth and basin. Cooked bone soup or other foods that need gravity cutting are recommended to be cooked in the meat market and then returned to the kitchen for cooking. 3. The overweight household appliance (such as microwave oven, etc.) should be placed on a reasonable part of the table mat to avoid the damage caused by the uneven gravity dispersion of the mesa caused by the long-term placement. 4. If there are some sticky materials, such as rubber, nail polish, paint and so on, it is very difficult to remove the sticky material. If necessary, the tool can be wiper gently, and the strength should be controlled so as to avoid the damage of the table. 5. Clean contact with non neutral detergent and chemical dissolving agent on the table should be cleaned in clear water. 6. Exposure to strong sunlight for a long time will affect the gloss of the surface. 7. After the table is installed on the cabinet, the users are not allowed to carry out unreasonable disassembly, loading and human treading, so as to avoid the fracture of the table or the cracks. Matrials 93% quartz crystal , 7% resin , color pigments and others. Countertop: 48*26". 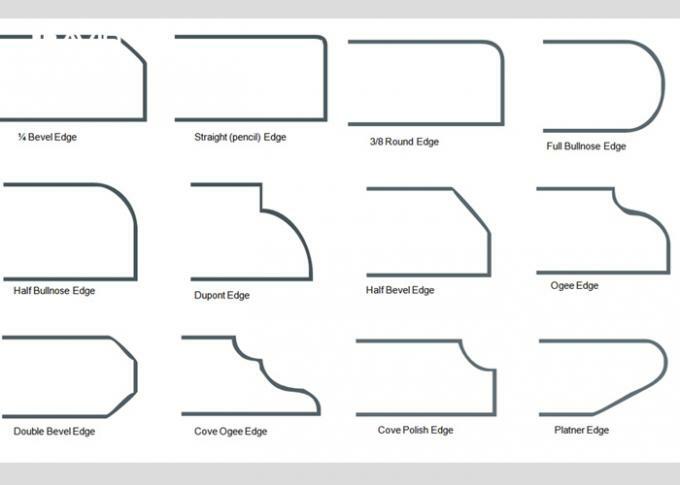 70*26", 78*26", 96"x26", 108"x26"
Vanity top: 22"x25", 22"x31", 22"x37", 22"x49", 22"x61", 22"x73"
Island: 72"x36", 96"x36", 96"x40", 108"x44"
1, Where is your processing plant for quartz and granite countertops ? It is located in Shijing Industrial Zone,close to Xiamen International Airport, about 40 minutes drive. 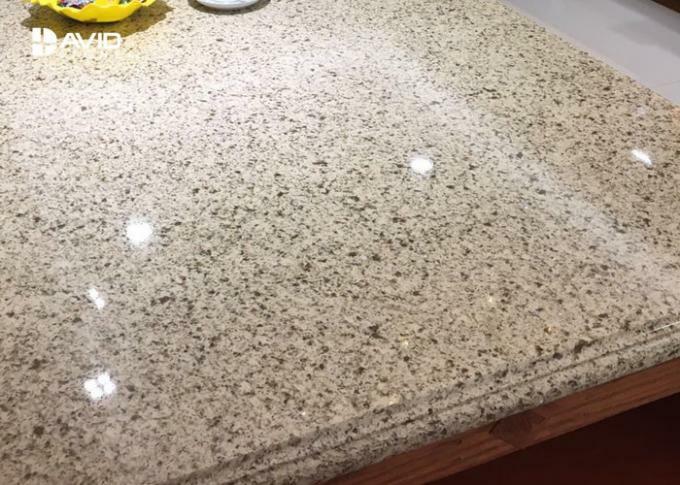 2, Can you take small orders or sample orders of countertops? Yes, we would like to support small customers as well. 3, What is the delivery for a full container? usually it takes about 20 days to deliver it. 4, What is your main market? our main market is USA and Canada. 5, What about the payment? 30% deposit in advance, 70% balance upon copy of B/L, by T/T or West union. 6, Can I get a sample for free? Yes, you can, please kindly noted that sample is free, but customers should pay for the freight.